To say Winston-Salem State has dominated Johnson C. Smith over the years would be an understatement, as the last time it was beaten by its Charlotte rival Bill Clinton was president. 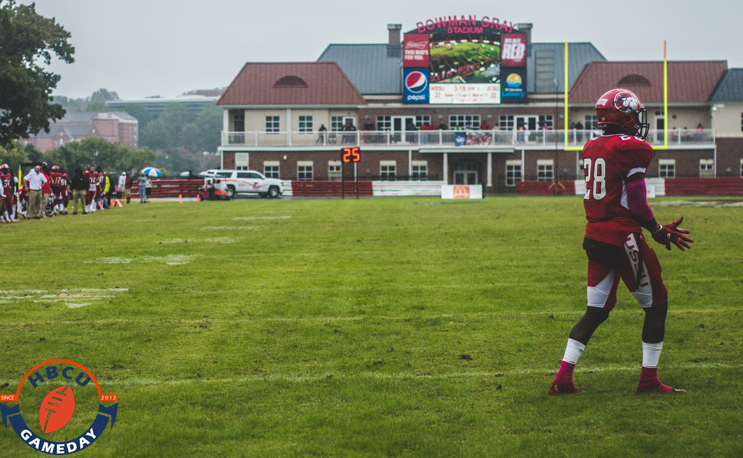 It wasn’t a dominant performance but WSSU did enough for a 27-22 win at home. Kerrion Moore carried the load for WSSU as he has in each of its four wins so far this season. Moore finished with 137 yards and three touchdowns, including a 48 yarder that gave WSSU a 20-9 lead early in the second quarter. All nine of Johnson C. Smith’s first-half points came via special teams, first thanks to a bad snap on a punt that led to a safety, and then on a school-record 97-yard kickoff return by Desmond Dozier. But JCSU was unable to put together any scoring drives offensively as it turned the ball over twice while in the red zone, taking precious points off the board. Things got interesting again in the fourth quarter as JCSU’s offense finally found the endzone on a 31 yard touchdown strike from Terrance Ervin to Gabrielle Yuille to cut the lead to 20-16. As has been the case in its wins, WSSU’s defense helped the offense out with a big turnover as Jayron Rankin took a JCSU fumble 47 yards and one play later quarterback Rod Tinsley Jr. dove into the endzone to give WSSU a two-score lead. JCSU wouldn’t go away, however, as Jahvez Mitchell made a spectacular interception of a Tinsley pass and then turned that into a touchdown on a Braxton Gambrell run to cut the lead to five points. Neither offense could manage to score any more points, and Daryus Skinner’s second pick of Ervin ended the game. WSSU improved to 4-2 with the win while Johnson C. Smith fell to 0-5.